We love working with organisations, who take the health and safety of their staff, clients and visitors very seriously. For example, we are delighted to be working with Oxford University's Hertford College, who are a great example of one such responsible organisation. 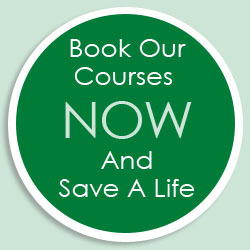 "I thought the course was an excellent way of introduction and refresher to First Aid At Work. I will give very positive feedback to the College and recommend that the Oxford College Of First Aid becomes the main College provider - not only for Emergency First Aid At Work but also other courses as applicable. We are interested in Emergency First Aid At Work, Anaphylaxis and Autoinjectors, and your Defibrillator courses. 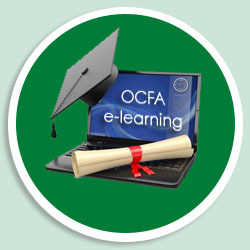 I will also speak to our Catering manager regarding your Level 2 Award in Food Safety in Catering e-learning course. Thank you Jane and thank you Dian." Interested in our Emergency First Aid At Work courses? If so, please book our next course on Thursday 5th March in Banbury. We also run our public courses in Didcot, Kidlington and Upper Heyford to name but three locations and all of our courses can also be held at your own premises. The bones and joints in the foot can suffer various types of injury, such as fractures, cuts and bruising. If you are unsure about the extent of the injury, compare the injured foot with the uninjured foot - as some fractures are not immediately apparent. Help the casualty to lie down and carefully steady and support the injured leg. If there is a wound, carefully expose it and treat the bleeding. Place a dressing over the wound to protect it. Remove any foot jewellery before the area begins to swell. Apply a cold compress, such as an ice pack or a cold pad. This will also help to relieve swelling and reduce pain. Place padding around the casualty's foot and bandage firmly in place. Arrange to take or send the casualty to hospital. If not being transported by ambulance, try to ensure the injured foot remains elevated during travel. All but the most minor of foot injuries should be treated in hospital. Congratulations to Tina Milham of Home Farm Trust, as she won a meal for two at the fabulous Beetle and Wedge Boathouse in our last competition for correctly answering that a defibrillator is used when a person's heart has stopped or is "fibrillating" - usually after a heart attack. This month, we have a £50 Voucher to spend on a meal for two at the fabulous The Manor Country House Hotel located in Oxfordshire's Weston on the Green. "Name the latest James Bond movie, with scenes recently filmed at Blenheim Palace?" Email your answer and contact details to Jane at: info@ocfa.co.uk and we'll draw one lucky winner from the correct answers on Friday 13th March 2015.